You know how to connect to the right people and share what’s important to your audience. You generously share your network to help your followers. You have a high level of engagement and an influential audience. 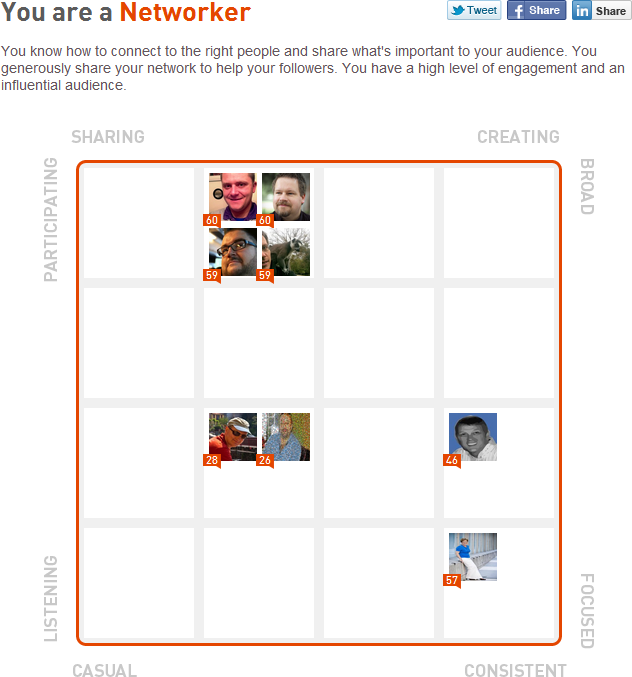 It wasn’t that long ago, that Klout drastically decreased my score.